oshyn: Content in OpenText™ Delivery Server & Moderation in Management Server - Open Text Web Solutions Usergroup e.V. 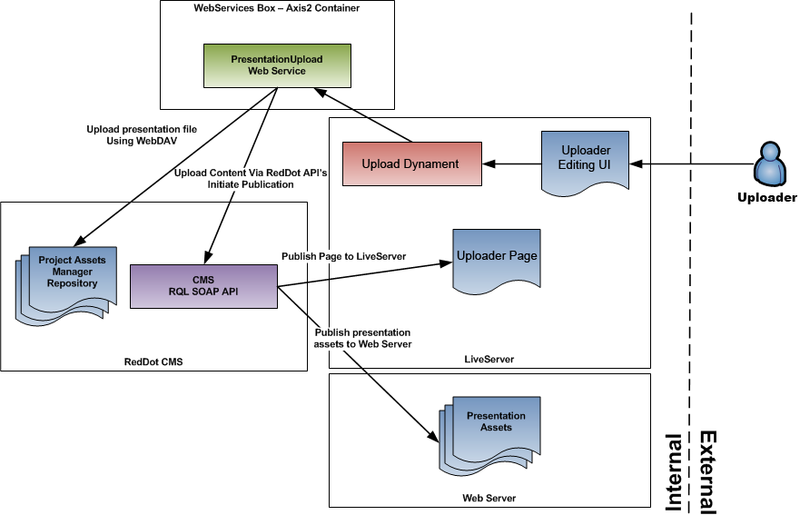 Building User Generated Content in OT Web Solutions Delivery Server is fairly easy using dynaments. However, if you'd like that content to be moderated by Editors, it's much more tricky. This requires the content to be submitted on the external website (Delivery Server), travel back to the Management Server for workflow, editing and moderation, then published back out to Delivery Server. This post shows an example of this pattern. Our client needed to provide a group of content generators the ability to upload their content into the CMS for an editorial review and approval process through controlled workflows. Each of these users has their own page in the site where they provide their content to viewers. Policy restrictions put in place by the client did not allow everyone to have access to the CMS. Our purposed solution allows this group of users to upload files on their respective pages yet still following the regular CMS workflow approval process. 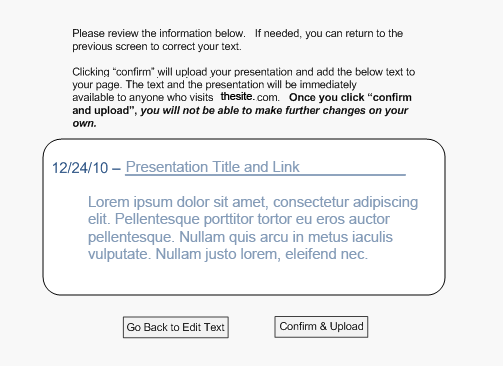 The content generators were given access to a specific section of the site. This area is restricted to individuals of this particular group using an LS constraint. 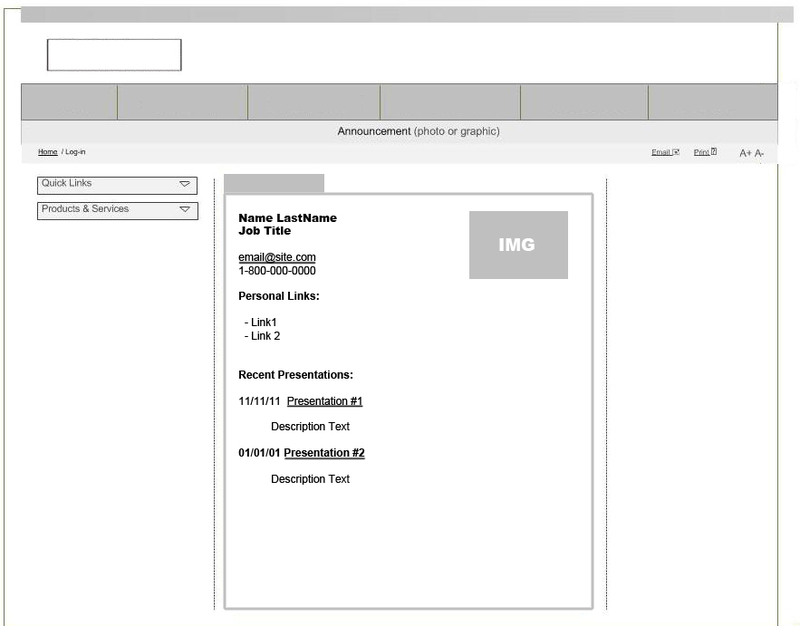 The user’s uploaded document goes through the assigned workflow approval process and review and eventually gets published to the live site. The file goes through a dynament which forwards the packet data directly to a Web Service server that handles all requests (to remove load from the Delivery Servers). 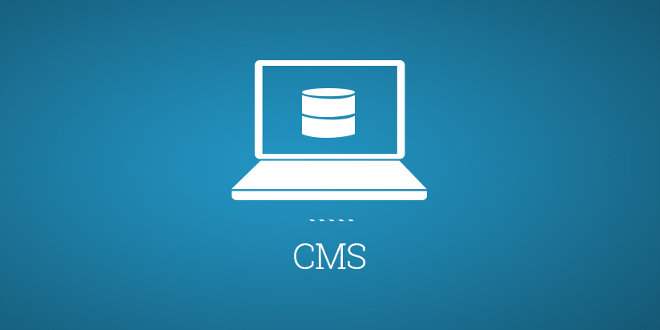 First, it will send the file information through WebDav so the file is created in the CMS server under a specific asset manager folder. Second, after the file is created, it will update the user’s page and submit it to the workflow process. 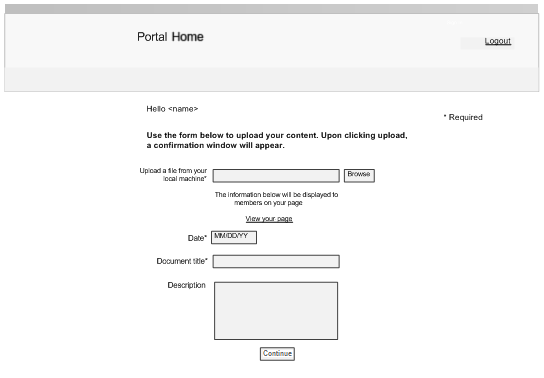 If the page is approved, it will be published to Delivery Server and the document will be published to the web servers.